The Village of Celoron is rich in history that dates back to 1749 exploration voyage. We are a small Village with a population of about 1,250 located at the southwestern end of Chautauqua Lake. We have over 2,000 feet of public access lakefront with a seven-acre public park. 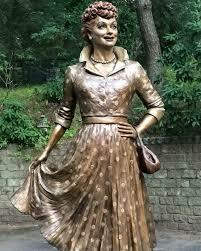 Our Lucille Ball Memorial Park has a boat launch, lighthouse, bank shell, pavilion, picnic area, playground, boardwalk, basketball court, and a community center. In addition, we have several marinas and a friendly, inviting residential base. We are the childhood home of Lucille Ball, "The First Lady of Comedy" and the long-time home of "Historic Celoron Park", called the Coney Island of Lake Chautauqua. 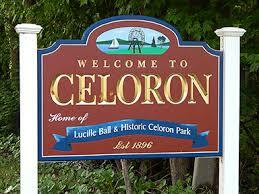 For those who live outside our Village in Western New York and afar, Celoron is a stop you should not miss! See our lakefront community with a beautiful view of Chautauqua Lake and enjoy the cool breeze on a hot summer evening. For any who may want to make their home with us or open a business, we have residential, commerical, and industrial properties available.